The BRDM-1 (Bronirovannaya Razvedyvatelnaya Dozornaya Mashina, Бронированная Разведывательная Дозорная Машина, literally "Armored Reconnaissance/Patrol Vehicle") was an amphibious armored scout car used by Russia and the former Soviet Union. It was originally known simply as BRDM but when the BRDM-2 entered production and service with Soviet Army in 1962, it received the designation BRDM-1. 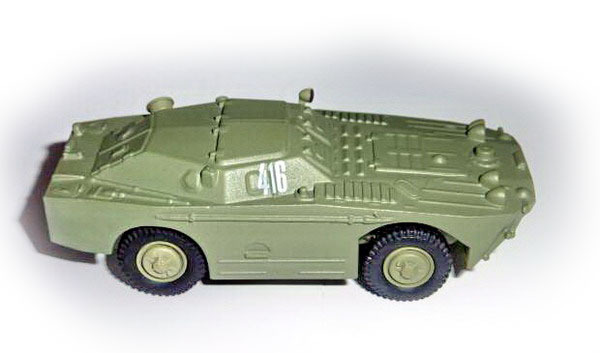 The BRDM (also known as the BTR-40P) first appeared in 1957, and was in production until 1966. Total production was around 10,000 vehicles, less than 600 remain in the reserves of a number of countries. Service history BRDM-1 entered service with Soviet Army in 1957. 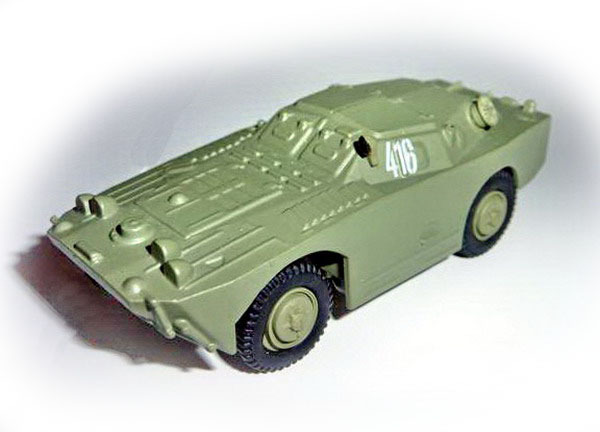 Production continued until 1966 when it was completely replaced on production lines by the BRDM-2. It was used for several years until it was completely replaced by the BRDM-2. 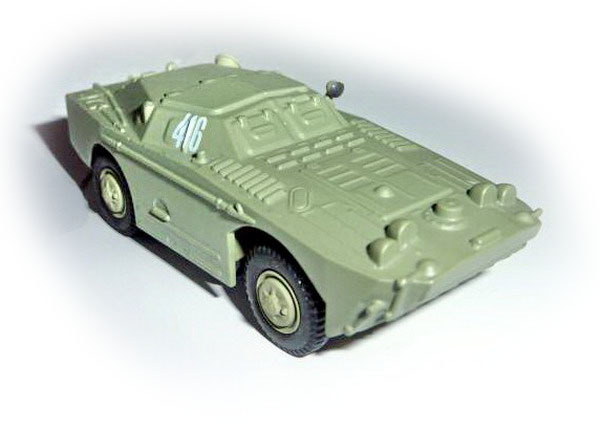 Czechoslovakia used BRDM-1 obr. 1958. Hungary also used BRDM-1 and designed its own armoured scout car based on BRDM-1, FUG. 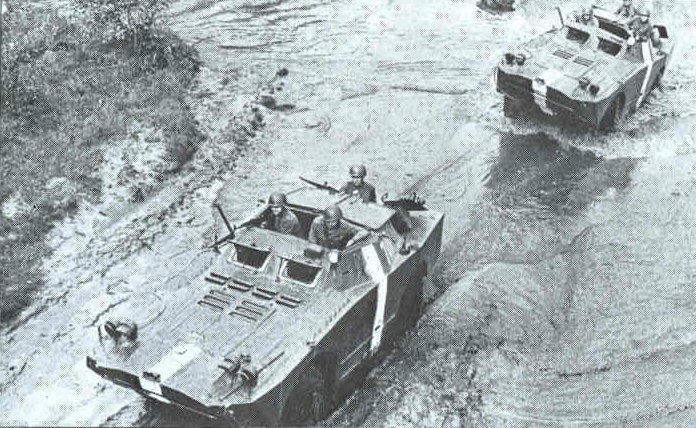 Poland started receiving BRDM-1 armoured scout cars in early 1960s. Later it also received 2P27 and 9P110 ATGM launch vehicles. 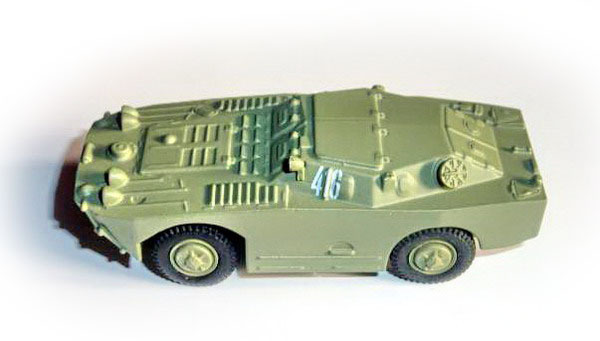 BRDM-1 were used by the subunits of different branches of LWP (they saw most service with the reconnaissance units) while the 2P27 were used by anti-tank subunits of motorized units. Poland also fielded the BRDM-RKh as part of the NBC reconnaissance units. BRDM-1, BRDM-RKh, 2P27 and 9P110 were later replaced by their BRDM-2 equivalents. 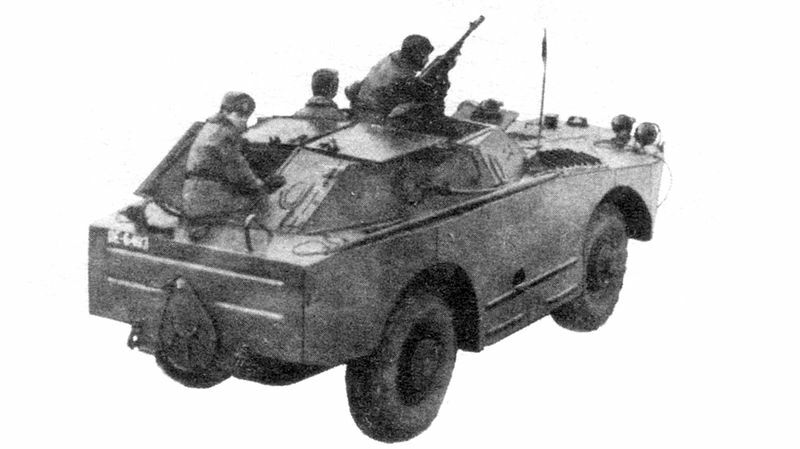 BRDM-1 was also in service with armies of four other Warsaw pact members: Albania, Bulgaria, Romania and East Germany. Cuba also bought a number of BRDM-1. Like almost all Soviet equipment BRDM-1 was also sold to many Arab and African countries. Today less than 600 remain in the reserve forces of a number of countries.